If you love the outdoors and like to takes memorable photos on wildlife, then a trail camera is what you need to capture those exciting moments. To understand more about how trail cameras work, here are the things you should know. First is a detection circuit that detects motion within a surrounding area and activating the camera to start recording. Second is the battery as its power source and how long it can power the device. Next is the infrared emitters that can help with the image quality in low-light conditions. Finally, the camera built into the device that captures the photos or video. Don't be fooled by high megapixel counts. Companies will trick you by advertising a camera with a high megapixel. In reality, they use a low-quality lens which reduces the quality of the picture. The detection circuit of a trail camera is what detects the animal. Cameras trigger based on a combination of heat and motion. The detection circuit is based on the trigger time, recovery time and the detection zone. Trigger time or speed is the amount of time elapsed from when a camera first senses motion until it captures a photo of whatever caused said motion. Recovery is how quickly a camera can store the first picture and be ready for a second photo. The Detection Zone is the area in which a camera can sense motion and trigger a photo. Whenever you are looking for a good trail camera, here are some of the best available in the market today. 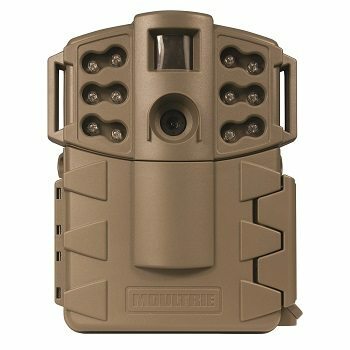 The Moultrie Game Spy A-5 game camera has been updated with more features and better reliability than ever before. It features a shorter delay option as low as 10 seconds and multi-shot burst mode, 5 Megapixel resolution, less than 1.5-second trigger speed, 40 Feet detection range, 50 Feet flash range and a Long-Range night time infrared. Redesigned from the ground up, the A-5 Gen2 offers Moultrie quality at a value price - giving you the most for your money and your hunt. The A-5 Gen2 runs on 8 AA batteries instead of C-cell. The added convenience and flexibility of AA batteries comes with an impressive battery life of 16,000 images. Product dimensions are 5.9 x 2.3 x 7.2 inches and weigh 0.85 pounds. The Browning Range Ops XR delivers big performance in a small package. 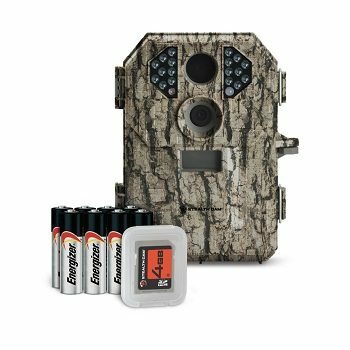 It features a lightning fast 0.67 seconds trigger time, long battery life from 8 AA batteries, 60-foot flash range and records HD videos with sound 5 seconds to 2 minutes in length to capture the best video record of game on your property. The Range Ops XR is a low glow infrared. It emits a dim red light while taking night and low light photos. An excellent trail camera for its price range. Full-color daytime pictures and the night photos are very clear. The Stealth Cam P18 is a 7.0 Megapixel compact scouting camera, with a 60-foot range designed to capture wildlife activities. 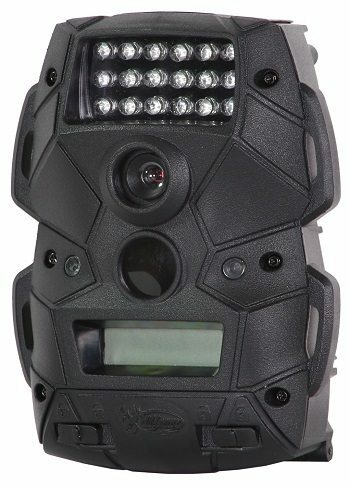 It features a Burst Rapid Fire mode, EZ Dial programming, 7.0 Mega Megapixel with 15 seconds video recording, 18 IR Emitters/50ft range, Burst Mode 1 to 6 images per triggering 5 to 59 sec/1 to 59 min recovery time out. The tree bark camo housing adds to the conceal ability of the P18CMO, giving hunters 'eyes' in the woods. Programming the P18CMO Stealth Cam is easier than ever before with the easy Quick Set dial that has three Preset modes, along with the manual setup mode. Product dimensions are 2.2 x 4.8 x 6 inches and weigh 1 pound. 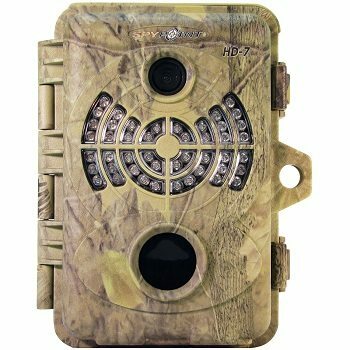 The Stealth Cam G30 IR Trail Camera is a part of the high quality and dependable trail cameras in the market today. It features the TRIAD 8.0 Megapixel with 3 resolutions - 8MP/4MP/2.0MP, HD Video recording 5-180 seconds, 30 IR Emitters/80ft range with Reflex Trigger - 0.5 seconds, Matrix Blur Reduction, new intuitive backlit menu programming, manual shot capability, Secure Lock password protection, SD Card slot up to 32GB, Test Mode, Video output and USB output. 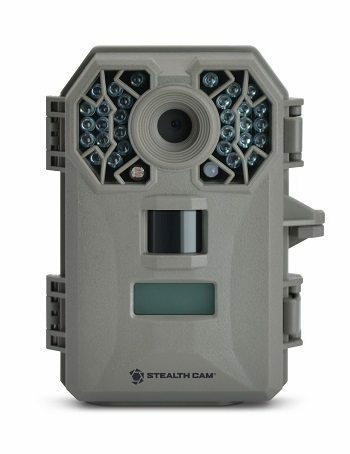 Stealth Cam is well known for their quality, and Stealth Cam G30 IR Trail Camera upholds that standard. The SPYPOINT HD-7 infrared game camera is what you need if you are looking for a trail camera that you want to put outside for a long time. It features High-quality nighttime illumination, Date, time, moon-phase and temperature stamps on each 7MP photo, Multishot mode captures up to four pictures per detection, and adjustable distance-detection sensor. It can also Capture HD surveillance video recording from 10- to 90-seconds with sound. This HD-7 camera is also compatible with a lithium rechargeable battery pack LIT-C-8 and maintains its charge by a solar panel. This trail camera includes 12-volt solar panel power jack, mounting strap, USB cable and video cables. Product dimensions are 7 x 2.8 x 5.5 inches and weigh 1 pound. The Buck Commander Nano 10 is one of the smallest trail cameras on the market. It features a 10 Megapixel camera sensor, 1-second trigger speed, and a tree bark finish. It also features 36 high-intensity LEDS with an 80 ft flash range. With Trubark HD textured finish, this camera is both water resistant and weather endurable. It can handle up to a 32GB SD/SDHC card, comes with an external battery port and includes a USB cord, bungee cords, and Flextime CD. It runs on 4 AA batteries. 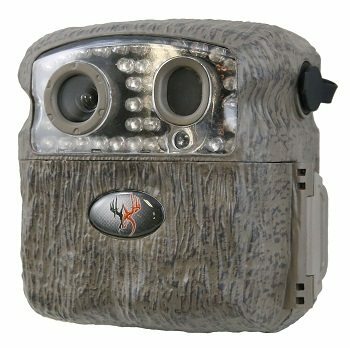 Wild game Innovations brings you the super small Cloak series of cameras. 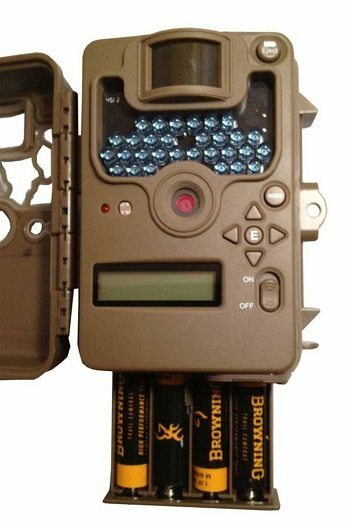 The Wildgame Cloak 4 Trail Camera is capable of both still images and video the Cloak is the perfect tool for game scouting and security. It features a 4.0 Megapixel camera sensor, 1-second trigger speed, Infrared flash, 18 high-intensity LEDs and photo and video capabilities. It works good, and the only thing is, it is very sensitive and takes a lot of pictures that was triggered by grass movement, or something, but still easy to use.